On Monday, the Times of Israel reportedat Egyptian security forces had surprised border smugglers around the Rafah crossing by deliberately pumping water into tunnels, flooding them and making them vulnerable to collapse. 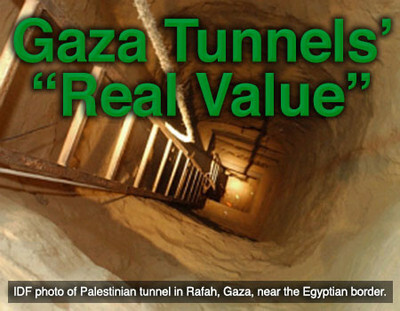 The tunnels generate $188 million in tax revenues on things like cigarettes and gas and building materials, Egyptian journalist Sarah A Topol wrote the Bloomberg Business Weekly on Jan. 31. But "the smugglers say their importance is waning: Access to Israeli goods is improving, and the Gazan government has begun regulating [taxing] the tunnels, sapping profits."